Welcome, friends, to the story that never ends: it’s Star Trek: Discovery and the flaming nightmare pile that has been every bit of PR for this show. It could be great, it could be bad, it has been impossible to tell. And it will remain impossible to tell, since CBS has reportedly made it a condition of seeing the show early that no reviews be released until Discovery airs. And that’s usually a bad sign. For movies, this is an established technique that’s often done to prevent critics from trashing a bad film before it’s released in hopes people will see it if they don’t hear the reviews; recent examples include The Dark Tower and The Emoji Movie. But it’s by no means a guarantee of badness—many horror movies don’t show screenings, which don’t traditionally get good reviews well, even if audiences ending up loving them. But it’s still hard not to see a refusal to allow early reviews as a lack of confidence in its quality. And a Star Trek show, done at all well, should review well. A good cast and effects will get the show halfway there, and Discovery looks to have both in spades. And a serious contemplation of important topics in Star Trek’s usual allegorical-bordering-on-pretentious manner is the kind of stuff that gets attention and rave reviews these days. This isn’t fare that doesn’t fare well with critics—at least it shouldn’t be. 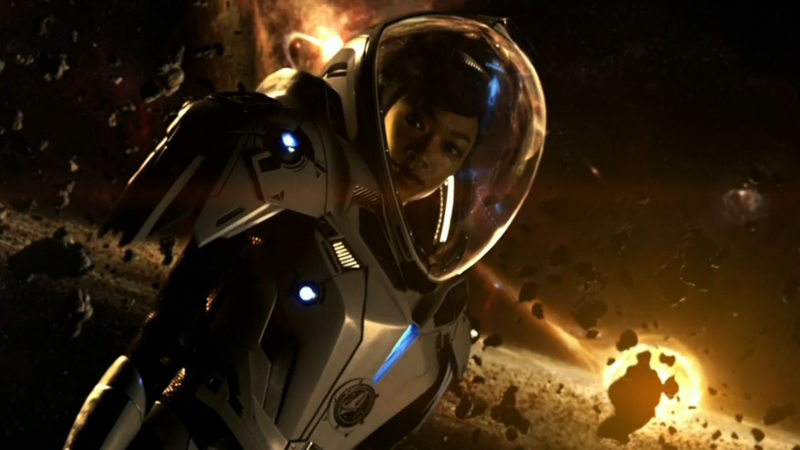 Given all the problems Star Trek: Discovery has had since it was first announced, I don’t know whether if the show is actually bad or if this is just another misstep on the part of CBS. I suspect, unfortunately, it’s probably just my wishful thinking that says it might be good. Maybe in the Mirror Universe, there’s a version of Discovery that came out on time, with Bryan Fuller as showrunner and its original vision intact, and had normal PR. We’ve reached out to CBS for comment and will update if we get it. Discovery premieres on September 24, at which point, presumably, we’ll get reviews of it.